This is the case of February 15, 1989 when Afghan citizens were looking at the soldiers of former Soviet Union, who became a picture of fear and surprise. Who was going to return from Afghanistan after passing through the friendship bridge after the 10-year war was defeated. Russian soldiers were smiling hands smiling at the occasion on the occasion. The Afghan Border Guard, Abdul Qayyum told AFP that it was felt that the former Soviet soldiers were weaker than the war, so that they were very happy to return home, the guard was deployed at Abdul Qayyum Amu Darya on the bridge which was named Dosti Pul. About 1.5 million Afghan martyrs and about 15,000 Soviet soldiers were killed in this war, now the defeat of the Afghan resistance movement was defeated by the Soviet Union, which was called the Red Army. The army of the former Soviet Union entered Afghanistan on December 27, 1979; this decision was made in a secret session of the Russian Communist Party’s Polat Bureau (High Command) Officially speaking about military intervention in Afghanistan, it was propaganda that a friend country (Afghanistan) has threatened with Islamist rebels, Therefore Russian soldiers have been sent there for the safety and assistance of the people of Afghanistan. Remember that Russia military intervention only one year ago after the insurgency in Afghanistan by declaring that country a communist Russia had signed a friendship and cooperation with him. The Afghan guard Abdul Qayyum, who is now 60, said when the Soviet soldiers entered Afghanistan like other Afghan citizens, he was also very surprised, he said that a Uzbek military officer told the guests that were coming there, however, the personnel thought that the Soviet Union soldiers came here to participate in the parade and would return soon, this proved to be true because the Soviets had been deployed in Afghanistan for a long time. Guard Abdul Qayyum added that the number of Russian soldiers entered Afghanistan was so high that it was not possible to count, a large number of Soviet soldiers entered the border area for several days, not only days but also at nighttime will continue. Moscow’s idea proved to be a very false mistake that it would be a simple and limited-term mission, because despite all possible efforts, it could not be possible to break the supply of Afghan Mujahideen to Soviet soldiers, these Afghan Mujahidin had the US weapons, Saudi Arabia’s investment and logistic support provided by Pakistan, finally, the Soviet Union promised in the Geneva Agreement 14 April 1988 that he would call back all his troops in Afghanistan, more than one million, back to 15 February 1989, Soviet troops returned in two stages, 50,000 soldiers were called back in Afghanistan every step, the first step of the return of the Soviet troops began on May 15, 1988 and continued till August 15 this year. 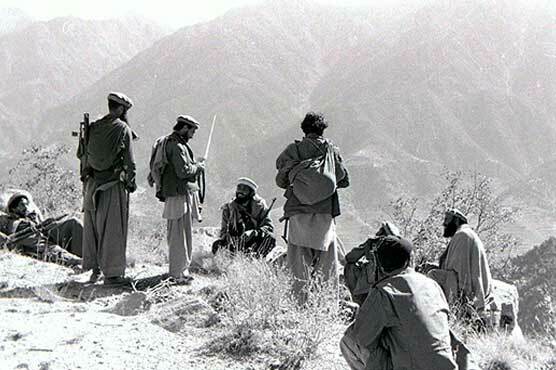 The second phase of the return of the Soviet Union was about to begin on November 15, 1988, but at the same time the Afghan Mujahideen increased pressure, the second step of the return of the Soviet soldiers was started in December 1988. The return mission for the Soviet soldiers proved to be quite contrary; the line of trucks filled with Soviet soldiers had to pass through 3600 meters (11,800 feet) high-sliding passes, there was a severe coldfall in the last 16 years; only the severe weather was not worried for the Soviet troops returning from Afghanistan. But also because of the attacks from the Mujahideen they were suffering from the worst problem because his colleagues were being killed in the attacks of Mujahidin on day. However, Communist authorities in Moscow on February 15, 1989 announced that Soviet troops have been completed from Afghanistan; he said that our soldiers paid their national and international duties with patriotism, courage and martyrdom, the Soviet leadership said that our military tribunals are entitled to protect the women, children and the weaknesses of the people, on the request of the legitimate and constitutional government of Afghanistan, he also protected the cities of cities, towns and villages of Afghanistan and thus a friend played a great role in maintaining and maintaining the sovereignty and sovereignty of the country, but Moscow’s reaction to the newspaper was different from the government. Communist Party spokesman Pravda newspaper wrote that the return of our soldiers is certainly a pleasure but with this, it is also sad that many of our soldiers went to the mission in the mission. The Soviet troops returned from Afghanistan, during the reign of former Soviet Union Mikhail Gorbachev, he said in 2003 that the Central Committee of the Communist Party had a number of posts, these posts were written by the mother, sisters and wives of the deployed soldiers in Afghanistan, he said in a very painful manner that to eliminate the Afghan war to secure their lives, Mikhail Gorbachev added that military officers failed to explain to their subordinate youth why the Soviet Union involved in the war of Afghanistan? What are our soldiers doing there? And what does the Soviet Union want to achieve this war? Mikhail Gorbachev further added that military intervention in Afghanistan was a huge political mistake. One important thing is that when the last Soviet military departed from Afghanistan, there was no ceremony held in Kabul nor was it promoted, a journalist wrote both the Afghan government officials and the public demonstrated coldly on this occasion, aweak trader said that after the return of the Soviet Union’s last military, local citizens expressed great happiness, however, a 76-year-old Afghan citizen said that after the return of the Soviet troops, the country suffered severe war, civil war and bloody blood. Then I think that if the former Soviet Union soldiers did not return from Afghanistan, it would have been great, some Afghan officials said Soviet troops passed away from the places where Soviet troops returned there were tanks, guns and airplane batteries installed, these arrangements were made by the Mujahideen’s risk of attacks, after 3 years, Afghanistan President Najibullah resigned, it was a very clear indication of the end of Communism in Afghanistan, after this, a government comprised of different groups of Mujahideen in Afghanistan, but very soon there were serious differences between them and blood pressure started, the result of this situation was that after the return of the Soviet troops, Afghanistan was impressed with the worst disaster in its history, even in 1996, the Taliban took control.